Ask any parent and they’ll tell you. There’s no love like the love you feel for your kids. So Heartkids is turning this Valentine’s Day into Sweetheart Day for families affected by childhood heart disease. Now Valentine’s Day may usually be all love hearts and romance, but the reality is that every day eight babies are born in Australia with childhood heart disease. Four will die – it’s the single biggest cause of death of children under the age of one. The lifelong disease has no known cure. There are 32,000 Australian children with heart disease. So, on Valentine’s Day, be a sweetheart and use the money you might have spent on a card or flowers to buy a gift from HeartKids instead to help the national charity in the fight against childhood heart disease. 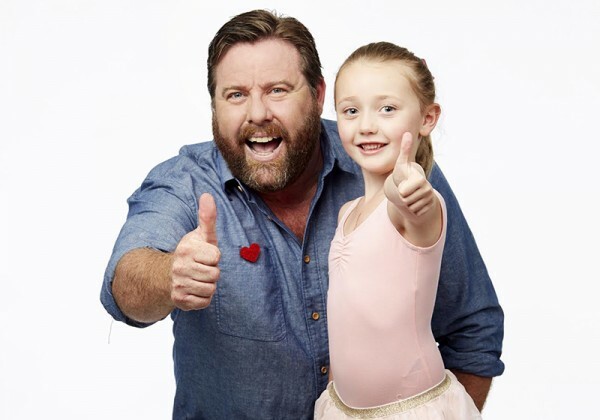 HeartKids Australia ambassador, actor Shane Jacobson, will show his soft side and help the cause this year. “Whether you are a parent or not, to learn that so many children are born with congenital heart disease so soon after birth is heart wrenching. Most children will require open heart surgery, sometimes within days of being born, and once they’ve had a repair on their heart, they are likely to require ongoing surgeries throughout their life,” Jacobson says. Childhood heart disease includes a wide range of heart defects, which a child is born with or develops in childhood as a result of other illnesses. In some cases it will require major heart surgery, while for others it will remain undiagnosed until adolescence or adulthood. HeartKids chief executive Jayne Blake says money for life-saving research and family support during surgery or treatment is desperately needed. “The purchase of a Sweetheart Day gift really can help mend a broken heart,” says Ms Blake.